With a stay at Comfort Inn & Suites Bryant - Benton, you'll be centrally located in Bryant, within a 15-minute drive of Outlets of Little Rock and Baptist Health. This hotel is 13.4 mi (21.5 km) from University of Arkansas-Little Rock and 17.5 mi (28.2 km) from University of Arkansas for Medical Sciences. With a stay at HomeTown Hotel Bryant in Bryant, you'll be within a 15-minute drive of Outlets of Little Rock and I-30 Speedway. This hotel is 13.5 mi (21.7 km) from University of Arkansas-Little Rock and 13.7 mi (22.1 km) from Baptist Health. Located in Bryant, Country Inn & Suites by Radisson, Bryant (Little Rock), AR is in the suburbs, within a 10-minute drive of I-30 Speedway and Benton Event Center. 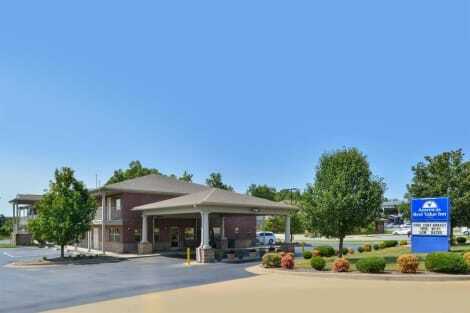 This hotel is 7 mi (11.2 km) from Big Rock Mini Golf & Fun Park and 7.5 mi (12 km) from Saline Memorial Hospital.